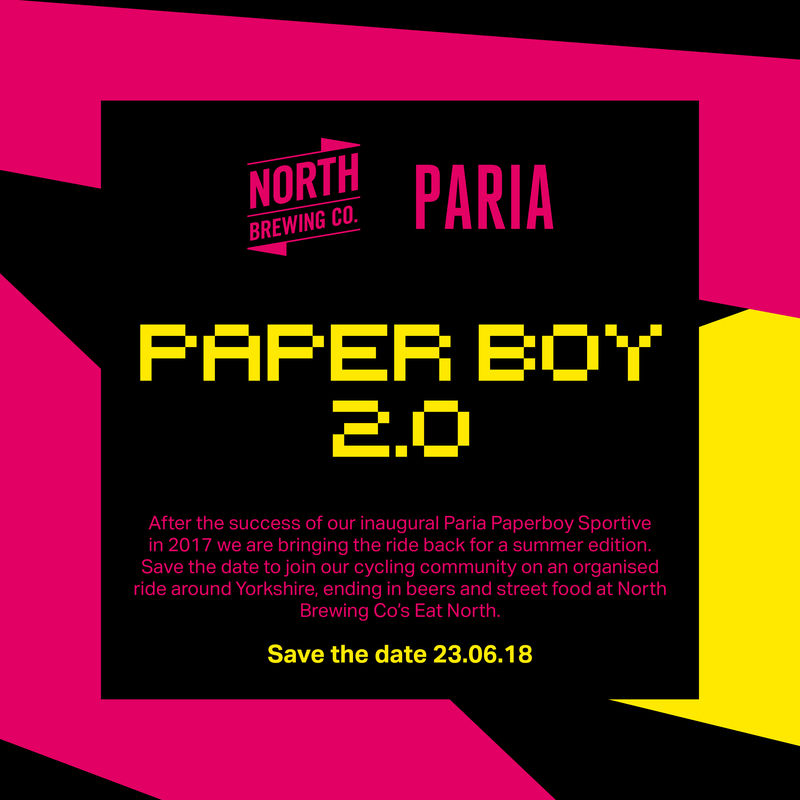 North Brewing Co X Paria proudly announce…. the return of The Paria Paperboy. After the success of our inaugural charity Sportive in 2017 we are bringing the ride back for a summer edition. Save the date to join our cycling community on an organised ride around Yorkshire, ending in beers and street food at North Brewing Co’s Eat North. Full details to follow but get the date in your cycling diaries!